As you can see from the ingredients listed above, store bought taco seasoning contains ingredients that are far from real food and add unnecessary carbs to the mix. 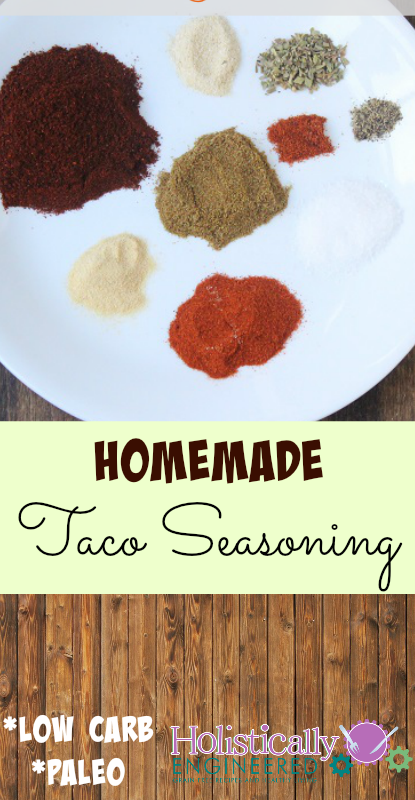 The good news is that Homemade Taco Seasoning is so easy to make and can be made in advanced and stored for later use. Just throw any unused seasoning in an air tight container and save it for your next Taco Tuesday night. 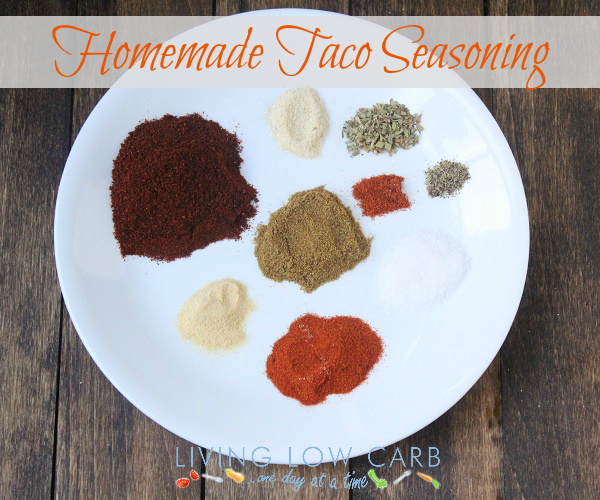 Another plus to making your own taco seasoning is that you can add the spices you enjoy and even dial up the spiciness if you’d like. I like to pulse the larger spices, like the dried oregano, in a spice grinder for a smoother texture, but that is a completely optional step. Use the recipe below as a guide and have fun creating your perfect seasoning. You’ll never miss store bought! Click Here to Pin It! Combine oregano, chili powder, cumin, sea salt, paprika, garlic powder, on- ion powder, black pepper, and cayenne pepper in an air tight container and mix thoroughly. Store any extra seasoning in the air tight container with the lid on. to make taco meat: For every 1 lb browned ground beef, add 2 tbsp of the homemade taco seasoning and 1/2 cup water. Simmer until the liquid has thickened.